Looks like a cool little kit, Marc! Alright folks the green flag has dropped, and we are off an running, well building. People can start to put there pre-built images here, I am hoping to get a start this weekend. The tracks are from the Amusing Hobby Lowe, but I am debating on purchasing some Fruils for it instead. 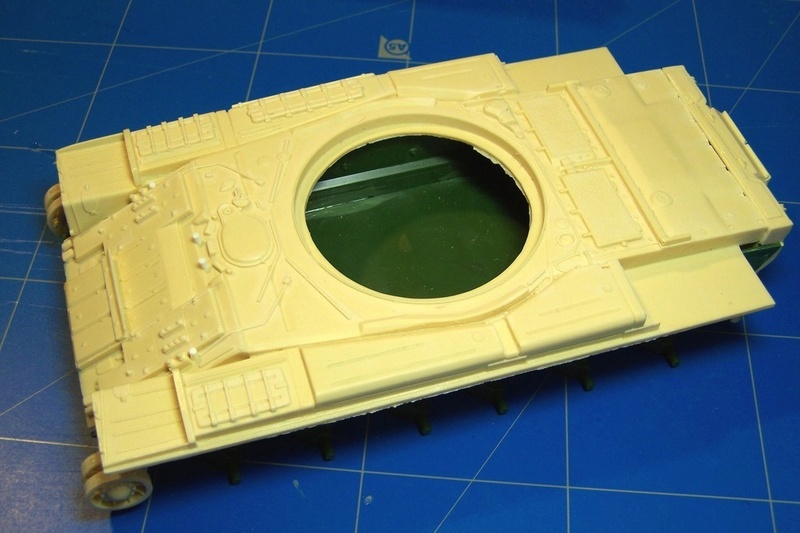 So in the end the only original component from the Trumpeter kit will be the hull tub, so the build will be more resin than plastic. **For anyone interested in Resin parts/conversions, the Paper Panzer Productions company offers up some unique items. Also, their customer service is phenomenal, and they ship very fast. I should mention I'm not a paid spokesman for them, but I have had nothing but great experiences with them and their products. That should be delightfully gadgety, David! Looking forward to your build! 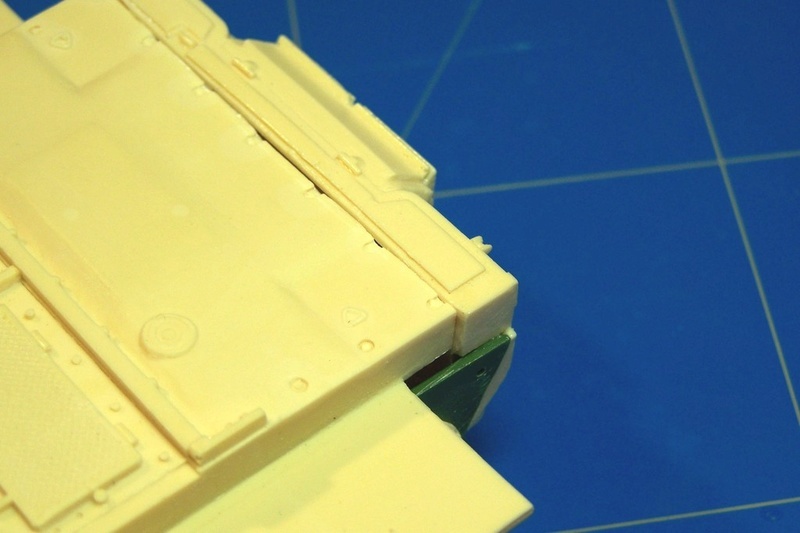 My entry is the SP Design T-80 UM1 BARS conversion on a Skif T-80 UDK donor kit. In addition, I will use SP Design correct sprockets, MasterClub roadwheels and tracks. In the end, I guess very few of the plastic parts will remain. But that's the aim of this campaign. That Ferret is on my wishlist, too Kevin! I'll follow this to see how good the kit is. I'm sure you'll turn this into a nice finished piece. Removed the casting plugs and glued the front to the hull. Added the weld marks, and cleaned up the wheels. Made a start cleaning up the parts. This kit is stamped 1992 and it actually shows. With all the hype over Accurate Armour products, I have to admit I am disappointed. The detail is a bit lacking, the casting is not very crisp on the upper hull with some parts broken off (and not in the bag it comes in, so not broken in transit). Overall shot of progress. 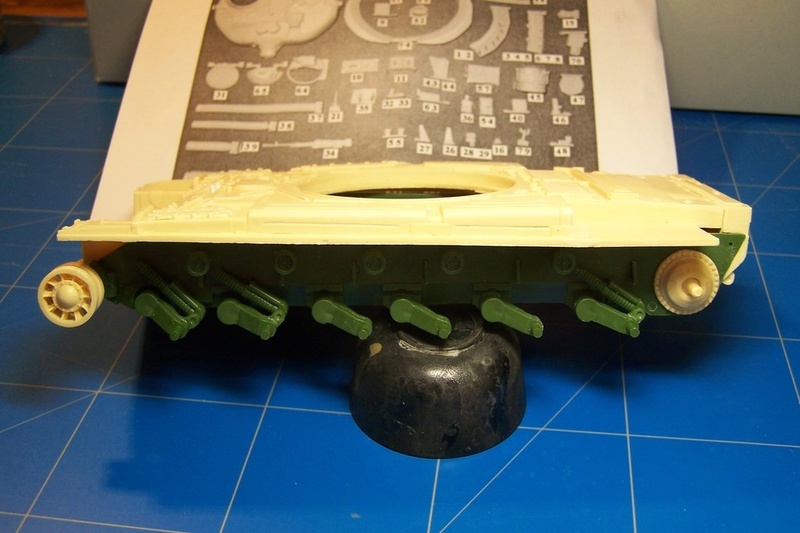 Note the Resin waste used to brace the rear hull apart to correct the tow in on the resin casting. If I tried to heat it first, the sides would have warped. I have had to Dremel out parts of the upper hull for the lower to fit. Very disappointed with quality of the road wheel castings. The moulds on some sets were offset so trimming along the outer rim on both sides resulted in a step in when the waste was removed. I had to fill a few. A few years back I built AVF Club's M113A1 FSV which is a M113 with a Scorpion turret. It comes with a set of their Scorpion kit's road wheels as the sprues also have turret parts.... I may swap the AFV Club ones in the spares box for these ones. Off to a bit of a start with some of the interior. While the moldings are a little soft in details, is does look good. Got the wheels cleaned up and put on, along with the fenders and engine grills. On the turret got the muzzle brake put on the barrel, attached the barrel and started working on all the brass for the commanders hatch. That hatch has 14 pieces! For a hatch!! Just for clarification I can just replace the turret with a resin one? I picked up a resin T-34 '41 turret with applique armor that I want to put to use on a Zvezda T-34. @comrade - that would be sufficient, looking forward to seeing it. Time to show some progress with my T-80UM1 Bars. I've built the hull and the suspension which will be the only Skif contribution to this model. The rest of it will be a mix of MasterClub and SP Design references. Here are some pictures. Sorry for the poor quality. The next ones will be better. Sure is a big hunk of resin Olivier. Do we have an official ribbon for this build? Any artists out there? 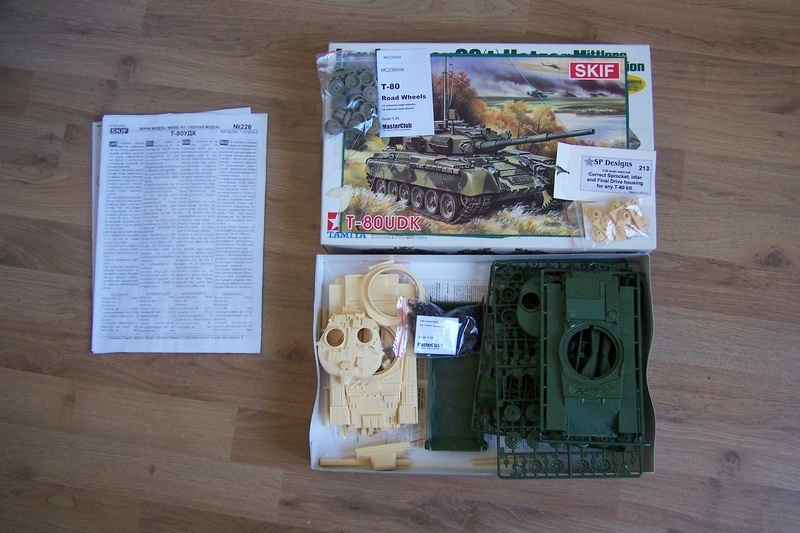 I guess I'll do either the Hunor Nimrod, the Plus Model Hanomag RL-20, or one of the full interior kits (Panzer III, IV, VI, T-55) I have accumulated. It'll take years to finish all. I think I'd seriously have a shot at immortality if a genie told me I can live as long as I have models to build. Hello. Long time ago I build Armor. So combined with Resin and campaign format, you got my attention. I will be in with a Resicast kit. Not decided yet which one. But looking forward for change in subject. Nice to see someone building this conversion, I was thinking of buying the version for the Xact scale kit, but I was wondering about the quality. I'll be watching closely Oliver!